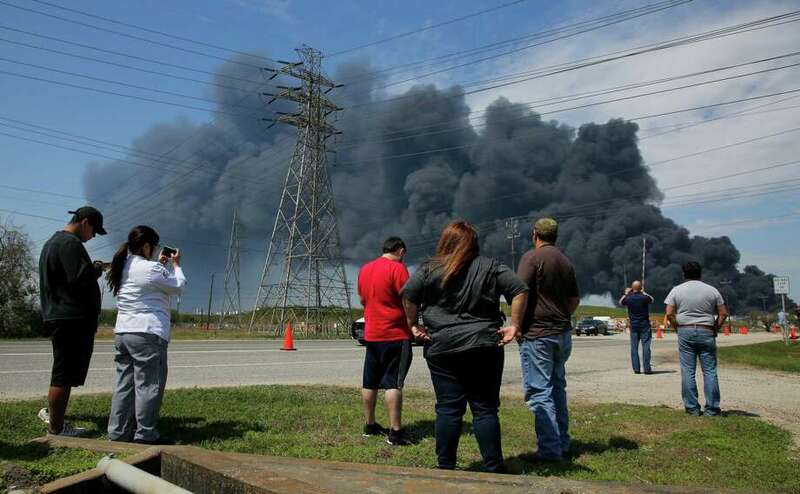 As the Houston Chronicle reported, the fire is the southern area of the plant, which according to the company website, has 242 storage tanks. The blaze is in a section that contains 15 tanks and the number of tanks on fire has varied throughout the incident. At a news conference Tuesday afternoon, ITC officials initially said eight tanks were on fire, then moments later issued a news release saying the number was seven. The ITC fire comes directly after a fire erupted last Saturday at Exxon Mobil’s Baytown refinery and was contained by emergency officials. Why This Matters: Accidents happen but in Texas, the Environmental Integrity Project found that state regulators failed to penalize 97% of all illegal air pollution releases and the Intercontinental Terminals Company’s Deer Park facility has a history of violating state and federal clean air and clean water rules. The Houston Chronicle also reported that the plant was cited for not following federal risk management regulations, records show. The state of environmental regulation in Texas doesn’t adequately protect its citizens from harmful pollution and many of the states’ petrochemical plants and oil refineries have been labeled “Too Big To Fine.“ When companies that make hazardous chemicals treat regulations as suggestions and not laws by which they must abide, accidents happen and human health is put at risk.